Universal’s Monsters Universe started to really gain some traction when Tom Cruise signed on to play the (non-mummy) lead in The Mummy. Now, another big star has decided to join the Monsters Universe fray. A report from The Wrap is saying that Johnny Depp is now attached to a new version of The Invisible Man. Unlike Tom Cruise’s part in The Mummy, Depp is likely taking on the title role. 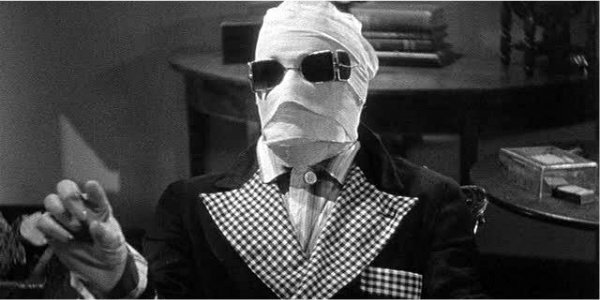 The Invisible Man had a film adaptation in 1933. The story is based on The H.G. Wells book of the same title, which was published in 1897. In the novel, The Invisible Man is a scientist who’s been researching optics and comes up with a way to change the human body so that it absorbs and reflects light, thereby becoming invisible. The movie took a slightly different tack, having that scientist experiment with a drug that makes him invisible. That movie gave way to a number of sequels and spinoffs that had little to do with the original novel. Those films were The Invisible Man Returns, The Invisible Woman, Invisible Agent and The Invisible Man’s Revenge. While those movies aren’t that highly regarded, The Invisible Man is considered a classic today and is one of the few films on Rotten Tomatoes with a 100 percent rating. The science fiction horror film starred Claude Rains as Dr. Jack Griffin, The Invisible Man. Rains only appeared briefly as himself at the end of the movie. For the rest of the story, he’s either covered in bandages so that people can see him, or a disembodied voice. The character is quickly driven crazy by his use of the experimental drug and soon desires to commit "a few murders here and there." If you can’t imagine Johnny Depp playing this part, then you haven’t been paying any attention to the man’s resume at all. The Invisible Man sounds like it will be right up Depp’s alley. No, it sounds like like The Invisible Man is everything that makes up Johnny Depp’s alley. Since almost the beginning of his film career, he’s bucked convention at nearly every turn. Depp is determined to take the road less traveled, and that’s, mostly, been a good thing for audiences. Johnny Depp has delighted in taking on the weirdest roles in, often, the weirdest movies. This one man has brought us Edward Scissorhands, Ed Wood, Willy Wonka, Sweeney Todd, the Mad Hatter and Captain Jack Sparrow. If he can’t sell a character who’s wrapped in bandages and a smoking jacket, or as just a haunting voice that comes out of nowhere, then no one can. I mean, really. It would be way too easy for Johnny Depp to over-odd this part, but I think if he harnesses the same restraint he showed in films like Public Enemies and combines that with his patented brand of character-driven craziness, this could turn out to be just the thing The Invisible Man needs.